Choosing the right heating & cooling contractor in Red Bluff can save you time and money. At Bickley's Air Conditioning & Heating, we pride ourselves on promptly completing the jobs we take on. We offer the combination of reasonable prices and high-quality work you need to protect your property and your wallet. When your air conditioner stops working, you need an AC repair company in Red Bluff, CA that responds quickly & works efficiently. Call Bickley's for the best in AC repair & installation. We offer the most complete selection of air conditioning units to tailor to your needs. Whether you want an eco-friendly, energy-saving, or a traditional system, we've got what you need! 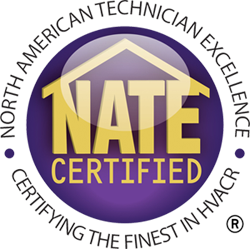 Our technicians are trained in the installation and maintenance in all systems, so we can show you how to make sure your system works properly and is well-maintained. Ductless mini-split systems are a great alternative to central air conditioning. Whether you want to install a new ductless air conditioner, replace your old system, or need a repair, call Bickley's Air Conditioning & Heating for ductless installation in Red Bluff. Bickley's Air Conditioning & Heating sells and installs ductless AC systems from Mitsubishi, and we can match your needs to a system that is right for you. Mitsubishi offers many different products, from single-room wall mounts to multi-room solutions. Their advanced technology helps homeowners stay cool and comfortable more easily than ever, and their ductless systems are among the best available. Mitsubishi is one of the leading manufacturers of cooling systems across the globe, so you know you're getting a high-quality, reliable product. These exceptionally quiet fans can be installed in a single, or multiple-fan configuration and are designed to move large amounts of air per fan. Install one of the higher volume CFM whole house fans in your hallway or a combination of a large fan and a lower CFM fans in each occupied bedrooms for maximum cooling. 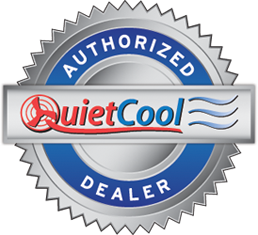 Call us for QuietCool solutions & whole house fan installation in Red Bluff. Bickley's Air Conditioning & Heating has kept our customers satisfied with excellent heating service in Red Bluff. Our heating services include installation, replacement, repair and maintenance. Let us find a comfort solution for your home. Call us for all of your heating needs. Our furnace repair technicians are experienced with fixing all heating systems. As a trusted and well-established HVAC company, we're honored to provide heater and furnace repair & replacement services that you can trust. Ask us about a furnace tune-up that will keep your system efficient. I had a great experience with Bickleys. Stephan was awesome! He even came back to my house after hours to complete the repair. He did it all at a very fair price and with professionalism. I have been in the field service industry for 35 years, so I can recognize a great serviceman, and great work! Thanks!! !